Today... 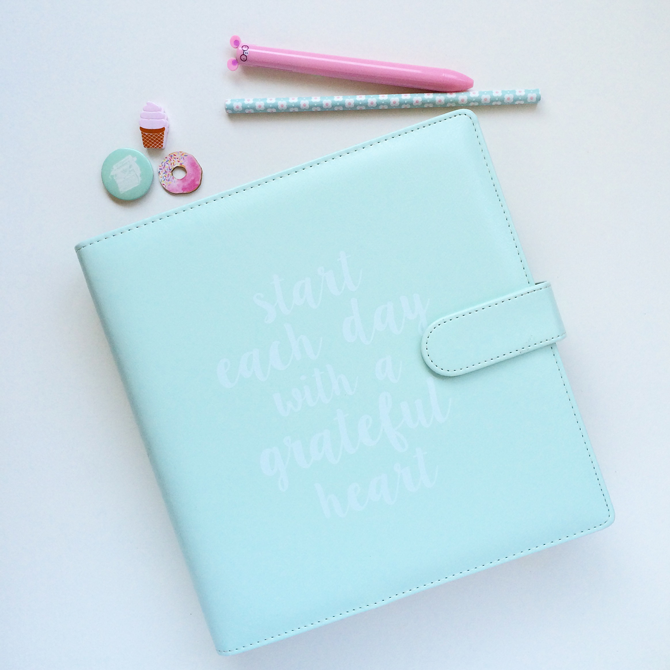 I have the loveliest giveaway to kick off the week and hopefully to inspire you to plan, get creative and have a well mapped out year and creative business success. Planning is fundamental and digital is useful, but paper holds the promise of creativity and a way to disconnect, if only for a (pretty) second or two. One of my clients that I am currently working with owns a beautiful shop called La Maison which is undergoing a transformation both physically and online. The new look isn't far from being complete. 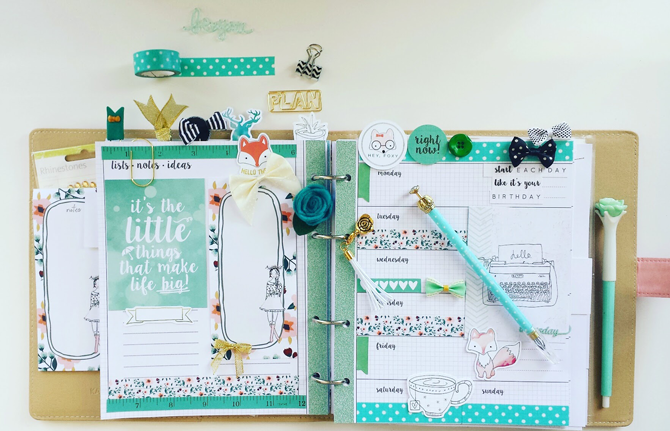 Francie the inspired and wonderful mind behind La Maison is offering one of you this fantastic planner by Kaisercraft. She has a fantastic eye for selecting the best on offer from the various craft brands around the world - you can get in touch with her on email. Her shop is in Durban - visit her Facebook page and see some of the lovely things she sells and makes! It's a minty green shade called Breeze and is made from PU with a magnetic clasp. 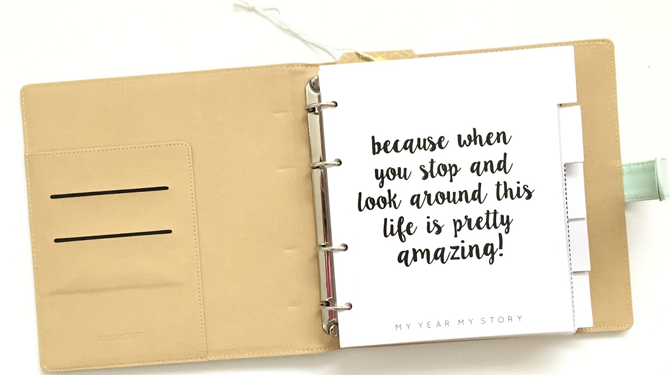 It includes the planner which is filled with a selection of dividers, plain pages, calendar / list pages and clear pockets. It isn't dated so you can use it as needed. It's a great size measuring 22cm x 23.3cm x 4.3cm and offers ample space for either modern memory keeping or planning. In fact, I am quite envious of the winner already. 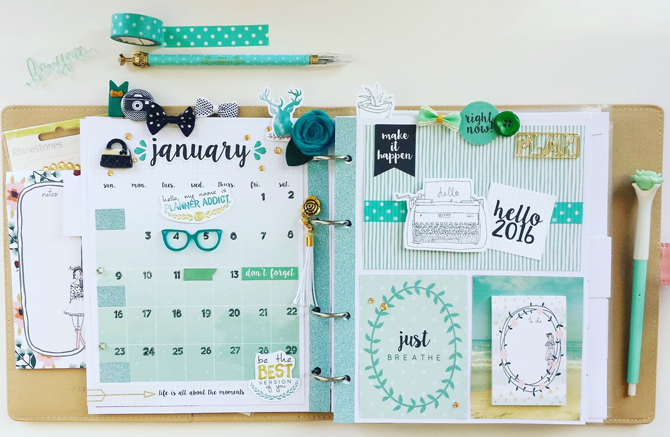 I found these pretty images on the Kaisercraft blog showing how you can decorate your planner (accessories / stationery not included). Below are the giveaway entry details - don't miss out! Winner will be contacted via email and will be chosen using Rafflecopter. Decision is final. Sometimes Rafflecopter experiences technical difficulties like all modern technology. If you can’t enter for some reason, try again later and it should work. Only Rafflecopter entries will be accepted.